Well, how gorgeous is this!!! I absolutely love how you incorporated the number into your design, Sharon. Well done. Thanks for playing along with us at BBTB2. Ohhh, this is beautiful!! You had to cut so many layers!! Love the pearls!! Thanks for playing with us at BBTB2!! Sweeeet card! Great shape-love the pretty layering and gorgeous pearls you added. TFS! sharon girl, this is gorgeous. thanks for joining us at BBTB2. 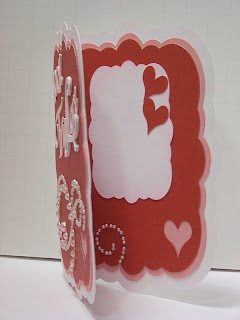 Wowers...what a gorgeous card! That shape is amazing and all they layers are so, so pretty! Love the bling and the inside is just as pretty as the outside...love it! 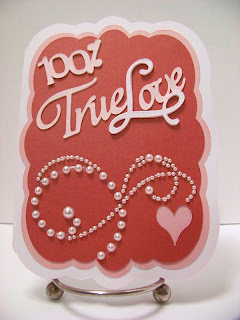 100% lovely card! Perfect card for the numbers challenge.